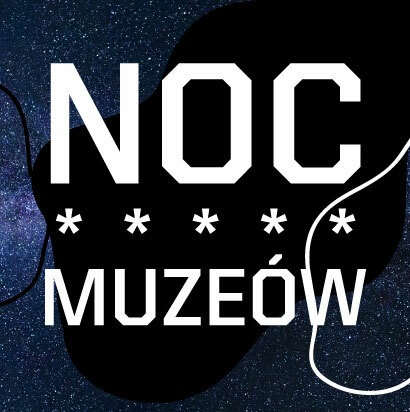 19th May 2018, Saturday, from 6 p.m. till 1 a.m.
For this year's edition of the Long Night of Museums, Muzeum Sztuki has prepared a special exhibition, the form of which will resemble a game room. If you decide to look for ‘do not touch’ tablets, it will be in vain. The exhibited works - some shown for the first time - will be exhibited not only to be watched and admired, but above all to be used, touched and played with. What may be a real treat will be the exhibited for the first time in Łódź since the 2003 Venice Biennale, the work of Stanisław Dróżdż called Alea iacta est. During the Long Night of Museums, we will see and play with its book edition. It is neither pool nor dice – just come and see for yourself what Dróżdż came up with in his work, whose title would be: " The Die Has Been Cast". The visitors of the Muzeum Sztuki will play against the artist! Another work to play with is Dora Maurer’s Dam which was created during the first edition of Construction in Process, in Łódź in 1981. Maurer's installation resembles checkers, but instead of using plastic pieces, the artist used stones in it. Another piece of art reminiscent of a board game is the work by Ryszard Winiarski, similar to the old Chinese game of go. The participants of the Long Night of Museums will have the opportunity to play it following the rules created by the artist. The fourth, in turn, will be a photography game inspired by the concept of mechanical photography by Józef Robakowski. The audience will be provided with specially protected cameras that will be able to be thrown, and then taken photographs from the place where they stopped. After four "throws" the photos will be printed and collated. One copy of the work created in this way will be taken home by the visitors and the other will stay at the Muzeum Sztuki. The fifth part will appeal to the lovers of word games. The game will be based on the work of Antoni Starczewski entitled A Table with Colorful Potatoes. Small, colorful, ceramic potatoes are laid on the table. Between them, the artist left empty spaces. The players will try to find among them the longest possible meaningful arrangements of letters or syllables. The last, the sixth part of the exhibition will be the work of Wacław Szpakowski. What is characteristic for the artist's creativity are drawings of lines that take different, geometric shapes, but they never intersect. The game inspired by Szpakowski's work will be a kind of repetition of maths lessons. Please be advised that due to the Long Night of Museums, on Saturday, 19th of May Muzeum Sztuki will be opened from 6 p.m. till 1 a.m. on Sunday, 20th of May (last entry: 00.00 hrs). For the rest of Sunday the museum will be closed.